A major scientific report released Friday by the Trump administration says Hurricane Harvey and other recent extreme weather events are a sign of things to come as the earth warms. Texas should brace for more — and worse — Hurricane Harveys, according to a major scientific report made public on Friday by the Trump administration. Based on the research of hundreds of government and academic scientists, including several in Texas, the 1,656-page appraisal warns that Harvey and other recent extreme weather events are harbingers of climate change. Absent swift action to slash carbon emissions, the report says, the warming trend will have an even more crippling impact on life in the United States — and Texas. The report is the second volume of the latest National Climate Assessment, which the federal government must produce every four years. The first volume, released a year ago, came to many of the same conclusions, but was less detailed and dire. While both reports were released under the Trump administration, they stand in stark contrast to the president’s stance on climate change; he has repeatedly cast doubt on it. Indeed, environmental and other groups accused the administration of attempting to bury the report by releasing it the day after Thanksgiving. Among the "key messages" in Friday’s report: Relative sea level rise along the Texas Gulf Coast will be twice that of the global average — 1 to 4 feet or more — between now and 2100. That will make communities more vulnerable to hurricane storm surge. Texas "is vulnerable to increasing temperature, extreme precipitation and continued sea level rise, particularly as infrastructure ages and populations shift to urban centers," the report states. The report also notes that poor land management practices in Houston exacerbated flooding there during Harvey — a subject The Texas Tribune and ProPublica investigated in late 2016, less than a year before the storm hit. 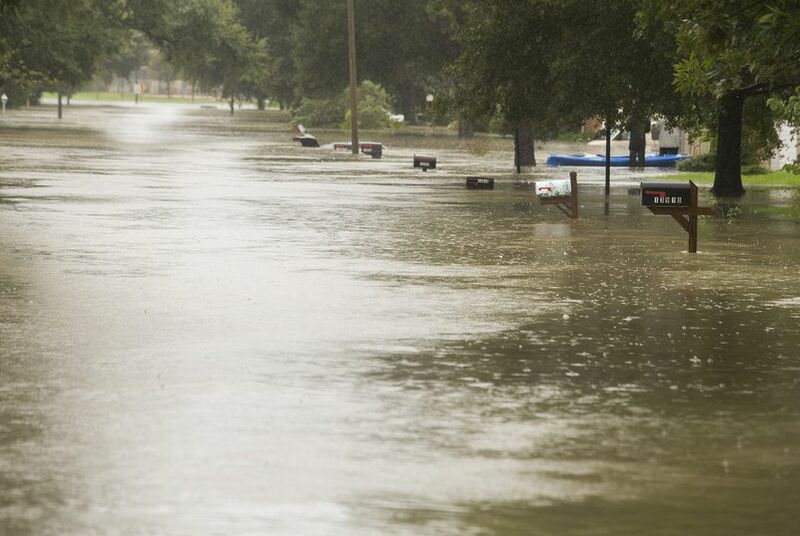 "In the area affected by Hurricane Harvey, regional land management practices over the last several decades have reduced the area covered by wetlands, forests and prairies, which historically absorbed stormwater runoff," the report states. "These natural environments have been increasingly replaced with impermeable surfaces, decreasing Houston's resilience to flooding."